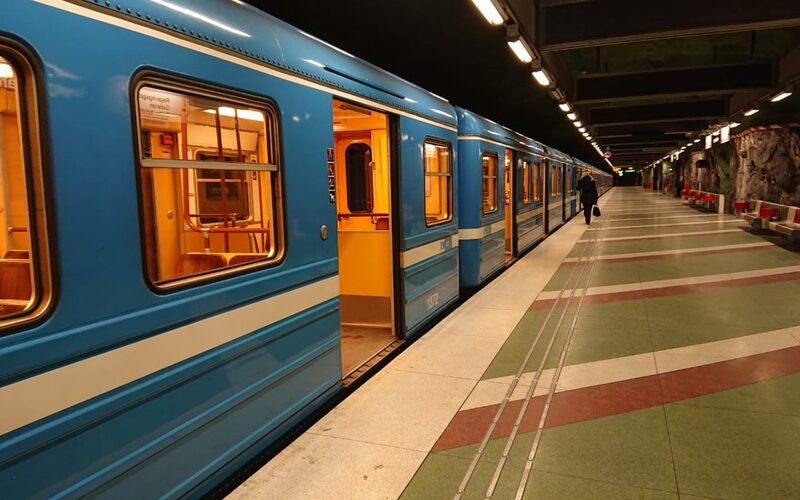 In the previous article we told you how the Public Transport of Stockholm works, next I tell you the types of tickets that could interest you as a Tourist, the different options of rates and where to buy them. Single tickets are valid for 75 minutes, from the moment you cross the metro control, the bus card reader, or the driver on board the trams or boats. All tickets by period (either 24 hours or 72 hours, 7 days or more) are used for an unlimited number of trips during the validity period. That is, for example, 24 hours running, from the moment it is used for the first time. Not for days. The ticket is not personal, but it can only be used by one person at a time. Keep in mind that although they are impersonal, if you buy a ticket with a discount (either because you are under 20 years of age or over 65, the ticket must always be used by someone who meets those requirements. This ticket will allow you to take the suburban train from the station that is in Terminal 5 of the Arlanda International Airport, to the central station where you can connect with the different metro lines. The validity period is 2 hours and it is important to know that this ticket DOES NOT APPLY to Arlanda Express! As you can check on the website of the transport company there are different rates that depend on the type of passenger and where you buy the tickets. That is, the easiest option is to buy it directly from an employee in a subway station (or Arlanda airport), but the most comfortable is possibly through the machines or the mobile application. Regarding the type of ticket, you should know that if you are under 20 or over 65, you can buy a discount ticket and the option will appear as “retired, student and young person”. WHERE TO PURCHASE THE PUBLIC TRANSPORTATION TICKETS IN STOCKHOLM? There are different ways to buy tickets, but without doubt the fastest is through the mobile application. The application is free and is called “SL-Reseplanerare och biljetter” (Trip Planner and tickets) and you can download it by clicking on the following links or search in your app store in your phone. The good thing about this app is not only the option to buy the tickets but also that it will help you to plan your trips, showing you the schedules and all the possible combinations for the same trip. If instead you are one of those who don´t lite technology and prefer to have it all in paper, you can buy your tickets at any of the metro stations -also in Terminal 5 of the Arlanda Airport-, there are also some shops, for example 7 eleven, that sell tickets or directly from the window or using the ticket vending machine. While I insist that having the app on your mobile will help you move more safely and easily through the city, here you can download the map in pdf (and print it if you prefer) that includes the metro network, commuter trains and trams. If this article has been useful, you can leave us your comments and evaluate the post with the stars that appear below. Please, also share it to your friends who are going to Sweden.